God’s Builders of the World. Your Mission is to Make a Boy Your Project! Where I can assist you, I am willing. I am your assistant if needed. to assist you in Building Men that Revival the World. Every Man is called to help another Man to move beyond mediocre. What is the reason for my being? to a Man’s being and becoming in the world. These are the questions explored in Lead Up. make “significant progress” in reviving the world. who must carry on the challenges that are ahead. the purpose of God’s Greater and Better. 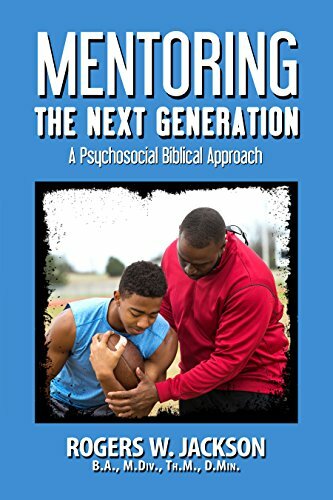 can help build young boys into Men who Build the World. to illustrate points of growth and development. to Bless the World and those in it. What does it mean to “Man Up”? and taking responsibility for your actions. home, community, and in God’s work. in the Right Place to Build and Bless the World. of Fatherhood and their God assigned mission in the World. the thoughts, ideas, morals, and your psycho-social environment. and being a ManFather and more. spiritual and social qualifications of service assisting the Pastor in ministry. I was called to preach the gospel in March 1975 in Ft. Worth, Texas at the Mt. Nebo Baptist Church, a Church with a membership of about 30 members on the roll with 7 faithful attendees. In November 1976, after the pastor of the Church was called to another congregation, I was called to serve as the Church’s Pastor. It was at this Church, in 1977, while standing on the front lawn of the Church that I saw two blocks down 10 men standing in front of a tavern. They were waiting for the doors of the tavern to be open. In my youthful mind I said, “If I can get those 10 men and add them to the 7 members I have, I’ll have 17 members.” The Lord spoke to me and said, “I want you to reach the men.” It was on that day that I received my call and mission to Men Maturation, Development, and Ministry. In August 1981, the Lord sent me to Chicago, Illinois to begin the training of Reaching and Building Men under the pastoral ministry leadership of the Rev. Gordon A. Humphrey, Sr. and the Rev. Lacey K. Curry of Chicago. These pastors and many others gave me the ministry vision and the processes and procedures to minister to Men. It was at the Chicago Theological Seminary, under the instruction of Dr. Robert Moore, Professor of Psychology and Male Maturation Processes that I began developing biblical, social, and psychological foundations for assisting Pastors, Churches, Men and Boys into being God’s Builders of the World. Join Me in this tremendous Service.